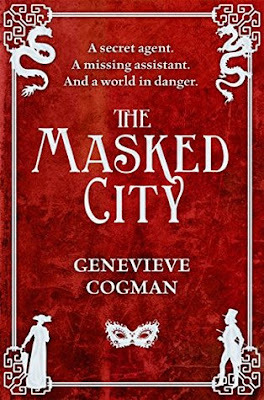 I really enjoyed the first book in this series, The Invisible Library , so I had high expectations for this book. Luckily, this book lived up to my expectations! The only complaint I really had was that I wish Kai would have been more present in this book. I wanted to learn more about Kai's personality in this book, but I am now hoping that will be in book three! The mythology in this book was fantastic! I love everything about the world Genevieve has created. There is just something so captivating about the magic and the people in this world. I could read about this world for the rest of eternity! I also loved the setting of this book. The setting made the book even more enchanting than the previous book. I mean, this book took place in Venice where they were always celebrating carnival. How much cooler can you get? I am hoping the next book will also have a unique setting. There was plenty of action in this book to keep me hooked! There was never a dull moment! I really enjoyed watching Irene kick some booty. Irene is growing into such a well rounded character. I think she is a great main character for this series. Irene is such strong and caring woman, and I want to be more like her! I am really looking forward to seeing how she continues to grow throughout this series. I am also looking forward to watching her relationships develop with all of the different characters in this series, especially Kai. I totally ship Irene and Kai, but I have a feeling this will be a slow burning relationship and I am totally okay with that. Overall, this was an extremely fun and entertaining read. I am dying to get my hands on book three! If you haven't read this series yet, then I definitely recommend you pick it up.